Torres del Paine: The transfer bus was empty except for us. It took us to a lonely spot at the foot of a giant, snow covered hill of rock and mud. The driver waited while we took our time about descending from his nice warm bus and then he drove away. We watched him round the bend out of sight and then began our walk up and then more up. The advantage of trekking off-season is that there are fewer people. The disadvantage is that it’s bloody freezing and most of the refugios are closed. Having neither the equipment nor the stamina for camping in the snow, we were dependent on the two refugios that remained open and planned our trek around them, looking unsuccessfully for Patagonian pumas. Trekking is an outdoors adventure activity and thus comes with a certain amount of machismo. I’ll just say right now that we bow out of any claims to hardiness. There are several popular routes in the Torres del Paine national park, the two most popular being the 5-day ‘W’ trek and the 10-day Circuit. We did an edited version of the W in 4 days. The few people we did pass were mostly energetic 20-somethings doing the W, but we did meet a tall Viking from Germany who had just completed the Circuit carrying a 28-kilo backpack! The scenery is stunning in the park. We pass spearmint lakes with salty edges with candy pink flamingoes standing in the icy waters, like the surreal cover of a record sleeve. 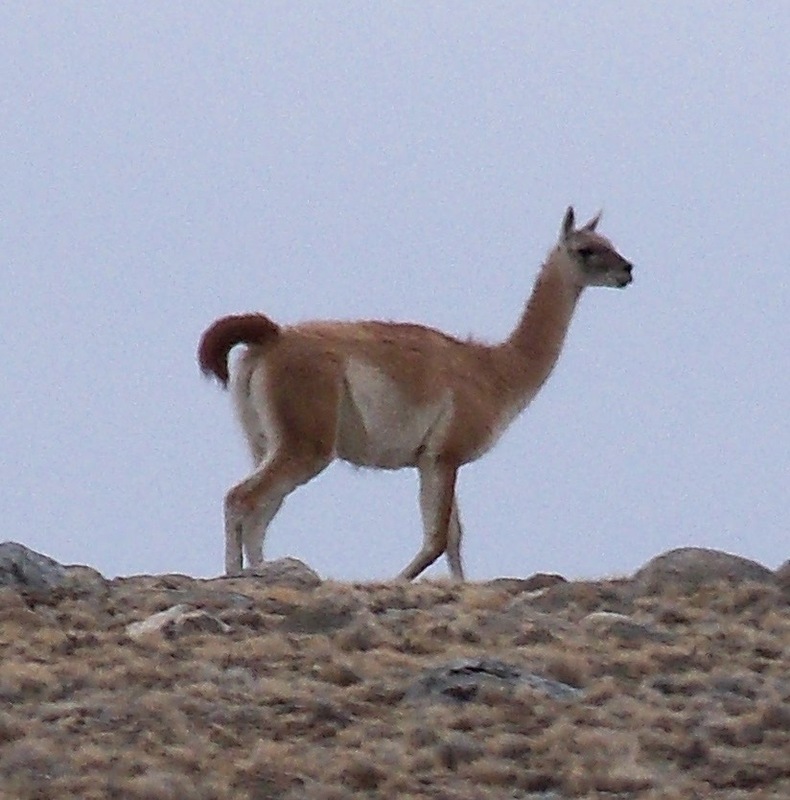 Enormous rocky peaks grow out of rolling hills and guanaco grazing grasslands. We climb over one pass to confront the snout of an enormous glacier pushing into a huge lake on which float an armada of copper-sulphate coloured icebergs. Waterfalls and gushing streams lead to the beautiful French Valley, a tree-covered glade of multicoloured leaves. The snow fell almost continually, covering the tiny beech leaves in heavy loads that tip onto us as we pass through. We stop a while and watch the silent whitening of the autumnal carpet. The woods were lovely, dark and deep, but I had promises to keep and miles to go before I sleep.